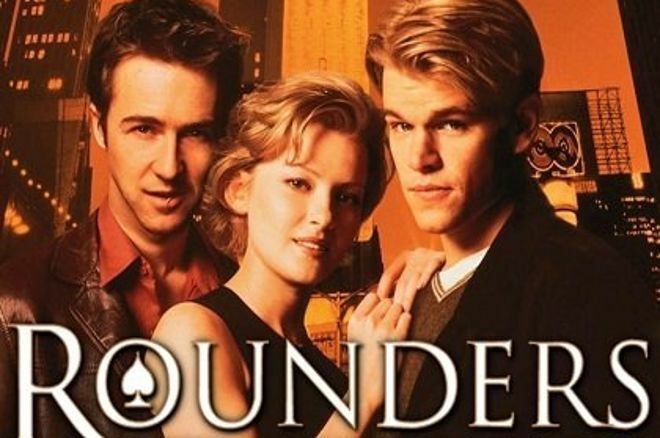 It was 20 years ago this week that the famed poker flick Rounders hit theaters! Back then, the film, which cost an estimated $12 million to make, wasn’t exactly a hit. In fact, it made just $8,459,126 as a wide release in its opening weekend (it hit theaters on September 13, 1998), and grossed $22,905,674 by the end of its theatrical run on November 8, 1998. 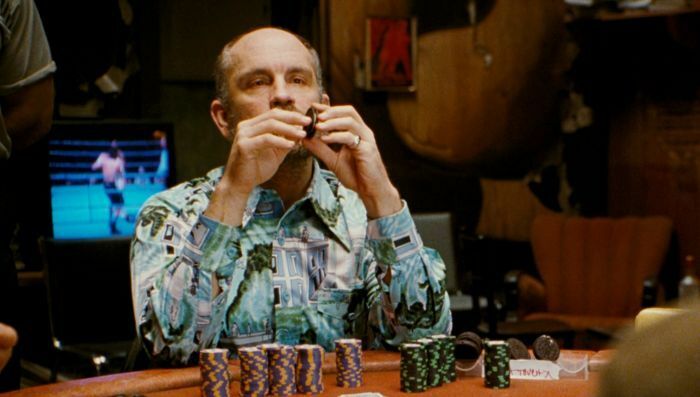 However, the John Dahl-directed film developed a cult following once it hit home video, which was fueled by the “Poker Boom” five years later when Chris Moneymaker won the 2003 World Series of Poker Main Event. Speaking of the WSOP, in an effort to promote the film, both the film’s leads – Matt Damon and Edward Norton – competed in the $10,000 Main Event that year. Damon was famously eliminated by poker legend Doyle Brunson after running kings into aces. Chances are you’ve seen the film (probably more than once), but for those who haven’t, here’s a quick reminder of the premise, compliments of IMDB.com. Scream queen Neve Campbell turned down the role of Jo, played by Gretchen Mol. 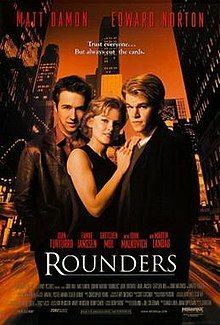 Will There Be Another Rounders? Since Rounders, many of the actors went on to have storied careers. Both Damon and Norton became Hollywood juggernauts, while John Malkovich became one of the industry’s most sought-after talents. Likewise, John Turturro, who played Joey Knish, recently garnered praise for his role in HBO’s The Night Of, while writers Levien and Koppelman – who also penned the poker movie Runner Runner starring Justin Timberlake – now have a hit show, Billions, airing on Showtime. As for a Rounder sequel, rumors have circulated for years. At the end of 2013, Deadline Hollywood reported The Weinstein Company and Miramax were looking to make a sequel. The now-disgraced Harvey Weinstein, who was run out of Hollywood amid a worldwide sexual assault scandal, said a follow-up would be “instantaneous.” Obviously, that didn’t happen. During that same period, it was rumored Robert De Niro would replace Malkovich as the lead villain. John Malkovich portrays Rounders villain Teddy KGB. A year after that news, Norton appeared on the David Letterman Show and the namesake host asked if a second Rounders was possible. “I think there is a possibility of it,” Norton responded. “Yeah, we couldn’t have had more fun making that movie. That was one of the best gangs of people ever. We did it right on the cusp of what became kind of the resurgence of the poker phenomenon. And I think Matt and I talked later, we should have negotiated like a five-percent rake on every poker pot that was played after that because then we could have made the film with our money." Koppelman even addressed a possible sequel last year in an episode of the PokerNews Podcast. “We do, however, have the story for Rounders II worked out, and all the actors and the director of the first film are ready to come do it,” Levien and Koppelman previously told PokerNews. “It's a matter of the companies who control the rights getting behind it and allowing it to happen." Rounders was available to stream on Netflix for a long time but has since disappeared from the platform. That said, you can still catch it on Starz and stream it there with a subscription. Otherwise, you can rent it online for as little as $1.99 on Amazon Prime, YouTube, and Google Play. If you want to watch it on Vudu, you’ll have to pay a buck more, and you can also get it on iTunes for $3.99. You can also pick up a DVD copy of Rounders on Amazon for just $7.99. That includes free shipping if you’re a Prime member.